Cedele recently opened their umpteenth Singapore outlet at Star Vista. It was quite crowded so I decided to order takeaway. 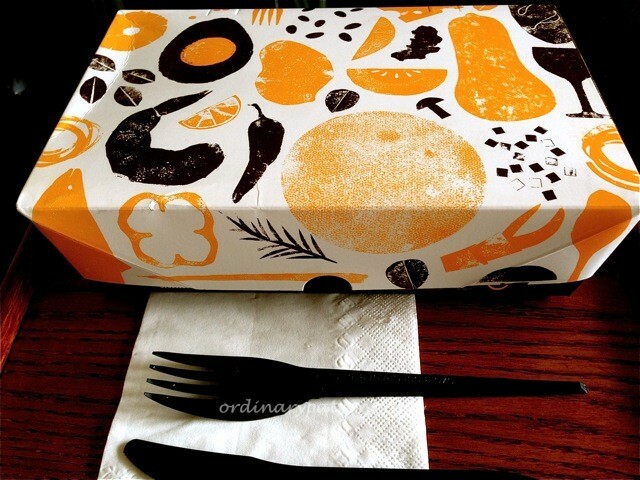 My lunch came in an attractive colourful box together with firm, black disposable cutlery. 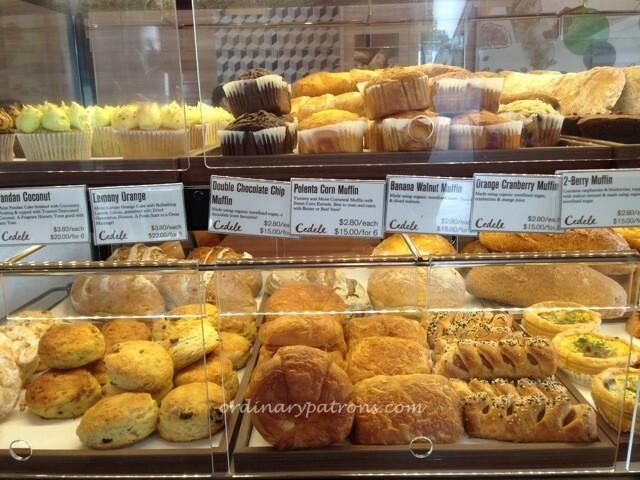 Starting out as a bakery, its breads and pastry items are still a main attraction at Cedele. 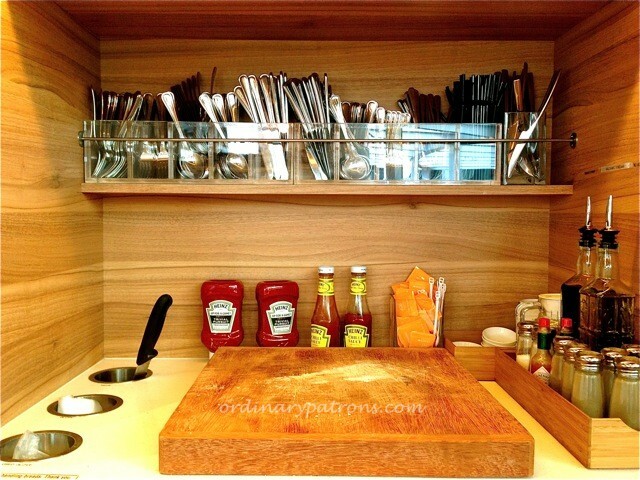 Their outlet at Star Vista is compact and neatly laid out. It also has their trademark bread station where you can help yourself to endless helpings of bread. 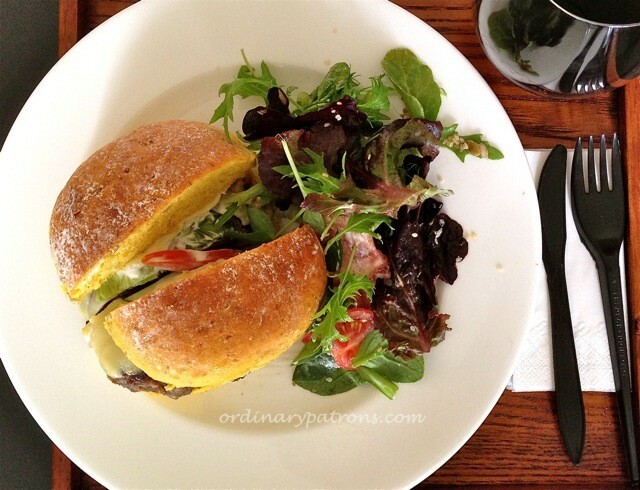 I ordered the beef burger ($16). As with their sandwiches, you have a choice of bread. My favourite at Cedele is their wholemeal linseed bread which I had ordered previously. It tasted good but because it comes in the sliced bread form, the burger would then look more like a sandwich than a burger. So I picked the pumpkin bap this time. 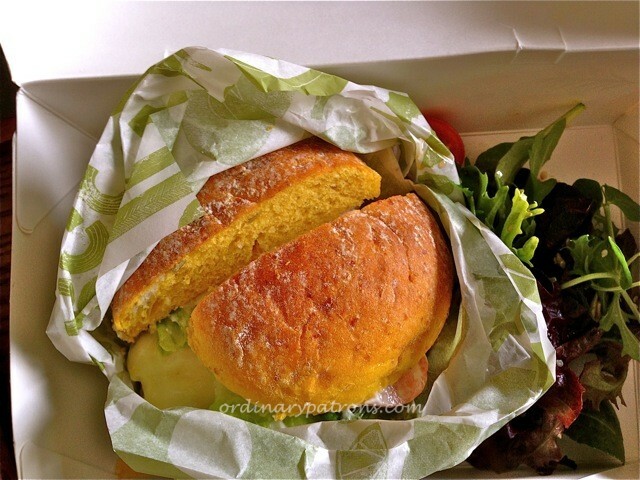 Opening the box, you see the burger tightly wrapped in the its waxed paper wrapper with a nice bunch of salad on the side. Upon closer examination, you find that the staff had thoughtfully cut the burger in half to facilitate ease of handling. You can eat it with your hands with ease. Which is probably what you can do for a quick lunch. Here, I have fully unboxed the burger for all to see in its full glory. 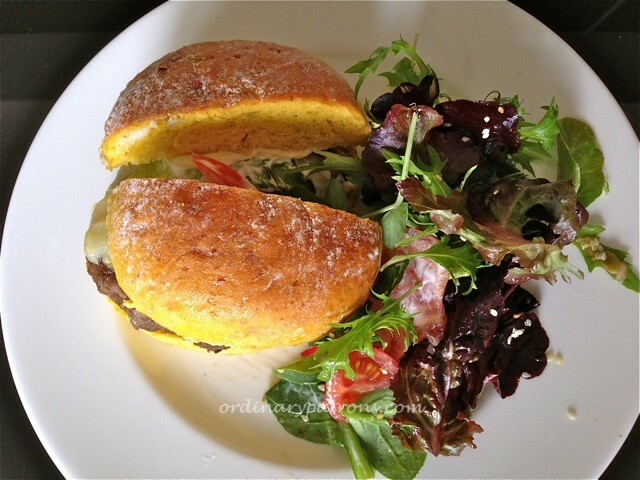 The beef burger from Cedele is a tasty and substantial meal. The meat patty is thick and compressed. It uses mainly lean meat and it is not excessively oily. Two small eaters can easily share one burger.